Inspiration fuels innovation. For Satchel & Page, inspiration from leather bags made decades ago inspired Daniel Ralsky, founder of Satchel & Page to start creating high quality bags that you’ll be able to pass on to future generations. The main catalyst for Daniel was a leather map carried by his grandfather during WWII. Taking that, along with several other classic bag designs that were popularized by the Greatest Generation, Satchel & Page is carving out a well-respected niche for themselves in the leather products industry. Over the past couple of months, I’ve been using and carry the Satchel & Page Mailbag. It’s an iconic design and their rendition of it is excellent. 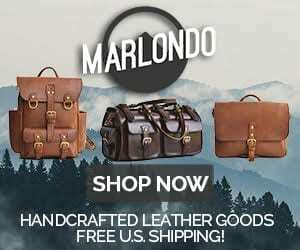 Based in Austin, Texas Satchel & Page is dedicated to producing handmade, high quality leather products for you to enjoy and pass on to the next generation. Initially they started out with a few iconic bag designs: the Mailbag, Map Case, Gladstone, Briefcase, and Pilot’s Bag. Now they’re expanding their product line with new bags, small goods, and a collection of fantastic jackets too. In fact, we were privileged to review one of their prototype jackets, which you can read about here. And, we just recently received one of their Café Racer jackets, which will be reviewed shortly. Satchel & Page doesn’t cut corners on quality. The Mailbag is constructed of 6-8 oz., rich brown, full-grain vegetable tanned leather. Hot stuffed with a blend of oils and waxes for a unique, rugged look. As they say on their website, it is “custom made by the tannery for us and you”. It’s also made with hand-hammered copper rivets, antique brass hardware, and sewn together with heavy duty, polyester thread. If you’re interested (and you should be, because it’s an interesting article to read) check out Daniel’s article, “What Does Handmade Really Mean?” In it, he offers great details that you should find helpful and useful when considering a leather product purchase…and, it gives you some great insight into how Satchel & Page creates their products. The Mailbag is an easy one to carry. It’s large and capable of transporting a lot of gear. But, it’s not a cumbersome bag. It’s 16” wide, 12” tall, and about 5” thick and weighs about 4 pounds empty. Its lines and style are directly drawn from the US Postal Service Mail Carrier Bag that was so popular during most of the 1900’s. The exterior is simple – one slot pocket on the back of the bag. When flying, I use that pocket for my iPad and notebook. The bag is closed using one strap/buckle closure on the front. The adjustable shoulder strap features a thick, comfortable pad and is adjustable to 55 inches, which should accommodate cross body carry for many people. The interior is a real treat. It contains a separate compartment for up to a 15” laptop. You can secure your laptop in that section with a single flap and stud closure. Inside you’ll find several pockets of various sizes, pen loops, and a key clip. The bag is unlined and spacious. I have packed it up with my laptop, iPad, camera, and two lenses with ease. As with most bags that use this design, there are some “flap gaps” that occur between the bag’s main flap and the sidewalls. If you’re carrying the bag from the shoulder straps, it will kind of seal itself up and now allow rain or snow to cause problems. But, if you carry the bag from the small handle, the gaps can be large enough to allow a decent enough amount of rain or snow to enter the bag…but, that’s only if you like to leisurely stroll in pouring rain or blizzards. If you’re moving with haste in those bad weather conditions, it’s a non-factor. The copper rivets and antique brass hardware look great with the dark, rustic brown color of the leather. Details inspired from the original mailbag like the pleated leather front panel, and the riveted side panels help to give the bag a nostalgic, vintage appearance. The vegetable tanned leather will patina with use and age making this bag look even better years from now. 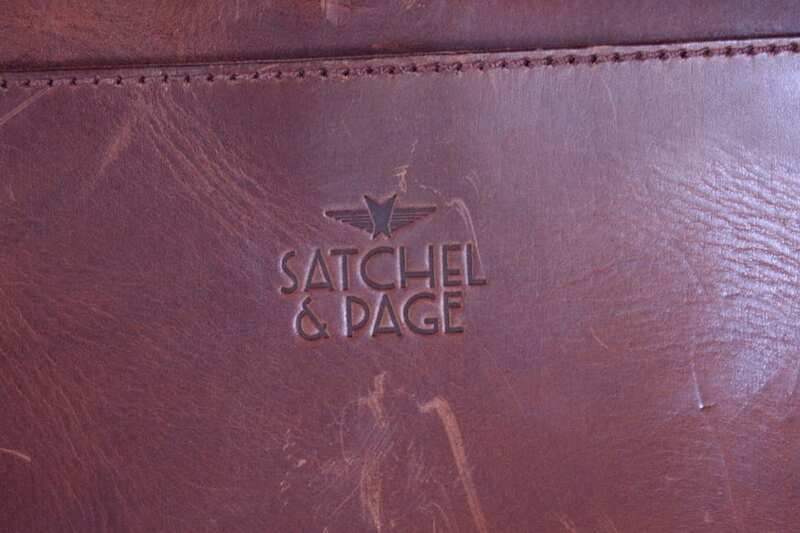 The Satchel & Page logo is tastefully placed on the back of the bag, which I appreciate so that it doesn’t interfere with the vintage, nostalgic presentation of the bag. It shouldn’t come as a surprise to hear that this bag garners lots of looks, questions, and comments on its beauty. I’ve carried it on two separate trips to California and it’s been to numerous meetings and coffeehouses. I enjoy carrying this bag. I may have said this before, but my favorite bag of all is a 1940 Swiss Army Packsaddle Bag. One of the main reasons I like it is because of the stories it contains and the history it has. I think the same of the Satchel & Page Mailbag. Even though it’s a new bag, it hearkens back to days gone by with its styling and looks. Since it’s based on such a storied, old design, I think that alone has great appeal. But, when you couple that with high quality leather, expert craftsmanship, and a lifetime warranty, you have a bag that definitely qualifies as a Buy It for Life product. 140 Comments on "Satchel & Page Mailbag Review – $435"